I was pedaling through the Saint George desert, somewhere underneath Gooseberry Mesa, when I made the decision: “I am going to ride the Colorado Trail Race this year.” That was January 2008. The next day, my wife told me we were having twins. I didn’t make it to the Colorado Trail Race that summer. In fact, I hardly raced, (or rode) at all that year. In the 5 years that have passed since then, I have made the same declaration every winter. “The CTR, this year.” And yet, I’ve never made it to that start line. Why not? Oh, I have my reasons. Some of them are almost legitimate. But mostly, I’ve stayed away from that race because it scares me witless. But every year the ambition returns because the very things that scare me about the ride, are also the things that I love most about it. 480 miles and 60,000 vertical of remote, rugged, high-altitude, self-supported, Rocky Mountain nirvana. OK, maybe not nirvana. But even a glimpse of that should make the slow-motion hike-a-biking and assiduous pedaling worth the effort. Right? And so, I’ve run out of excuses. In 2013, it’s the Colorado Trail or bust. The rest of the summer is starting to fade into the background. The tunnel vision that has aided (and ailed) me in the past is being focused on Durango, Colorado, and the ribbon of rock and dirt that winds and climbs its way to Denver. I’ve never attempted anything this ambitious. But I think I’m up to the challenge. I can ride slowly for a long time. I enjoy being at altitude. I can carry on conversations with myself for days. And I like pain. Well, I don’t like pain, but I can tolerate an unhealthy amount of it. Pushing a bike, while tedious, is still better than pushing papers around a desk. Anyway, isn’t that what ski touring is, just hike-a-bike practice? Ralph Waldo Emerson said to “always do what you are afraid to do.” I think there’s wisdom (and insanity) in that. I was afraid of 100 mile races. I was afraid of 24-hour solo racing. The Kokopelli Trail Race scared me. The Crusher and the Point 2 Point still scare me. And yet, I know that the CTR is an event I need to do. From the minute I first read about it in 2007, I knew that I was going to try it. Between now and July 21 I expect to bump up against reality more than once. I’m a working stiff with 5 kids. I don’t win bike races. I eat cheese and cake (not at the same time) more than I should, and I like sleep more than intervals. Nevertheless, I’ve confronted my fears in the past, and beaten them. The dragon of Resistance will be busy. He’ll do everything he can to help me find a new excuse to “wait until next year.” But next year is this year. It’s right now. So, I’ll let the dragon fly at will. It’ll all be in vain however, because I’ll be too distracted by GPS tracks, elevation profiles, and learning the business hours of the stores in Silverton, or Leadville, to let doubt cloud my ambition, or fear paralyze my legs. I am going to ride the Colorado Trail Race. But I’m not going to ride the trail just because it’s hard. 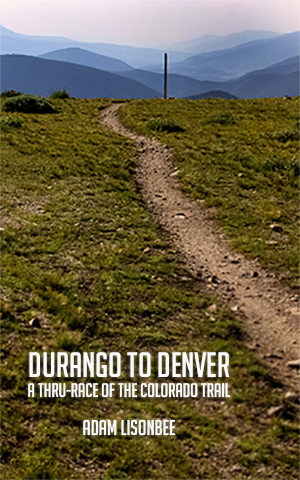 I’m heading to Durango (and then on to Denver) because I want to know what it’s like to spend 5+ days traveling through the mountains on my bicycle. I want to watch the soft glow of a new day illuminate 14,000 foot peaks in pale orange, pink, and red. 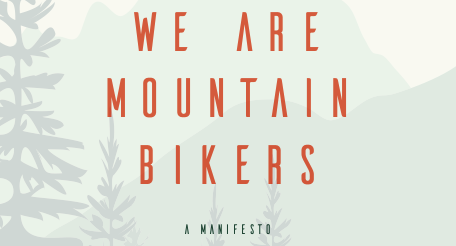 I want to see the iconic wooden trail markings, ride across the sky-scraper tundra, and float (and bump, barrel, and hike) through thick forests, grassy, flower-addled meadows, and a vast array of topographical indulgence. I’ve been on the Colorado Trail before. But only briefly. In that short time, the trail got into my blood (and a little of my blood, into it), and has been circulating impatiently, urging me to return in earnest, and to ride the entire route. Or try to, anyway. I want to know what so many other riders already know. Asking questions, reading stories, and looking at pictures have helped acquire a little bit of that knowledge. But looking isn’t doing. Even more than knowledge, I want experience. I want this experience. And there’s only one way to go get it. It’s still winter here in Utah, but I’m ready for another summer of dragon chasing and slaying. I’m looking forward to being a pin on a map, and a crackly, tired voice on a podcast. I can already see the long views, smell the wildflowers, and taste the cold water. I’m dreading the pain, and the nausea, and the hard choices. I’m craving the simplicity of riding my bike all day, every day. Long live the Colorado Trail. And long live the foolish quest to through-ride it on a mountain bike. Congrats on deciding to do the CTR this year. It is an incredible journey/race. I dropped out last year at the halfway point due to work and just had twins so it won’t happen for me this year. Bikepacking.net forum and CT databook are invaluable for this race. The route this year (reverse of the normal one) will start with a hard climb to Silverton and you will hit Molass Pass early, while you are still (relatively) fresh. Make beyond that and the rest is downhill (ha!). Enjoy the beautiful Colorado scenery (at least while not suffering from the large swaths of HAB). Good luck! Thanks Walter! Good luck with those twins. That’s an adventure that never ends. Sounds like fun. Let’s go. Get a Geigerrig bladder and filter, think you’ll like it. Good luck and I look forward to updates! I soloed that route yesterday, just for fun. It was a cute ride. Awesome! Totally inspirational for my own MTB goals too. Can’t wait to watch you conquer this!